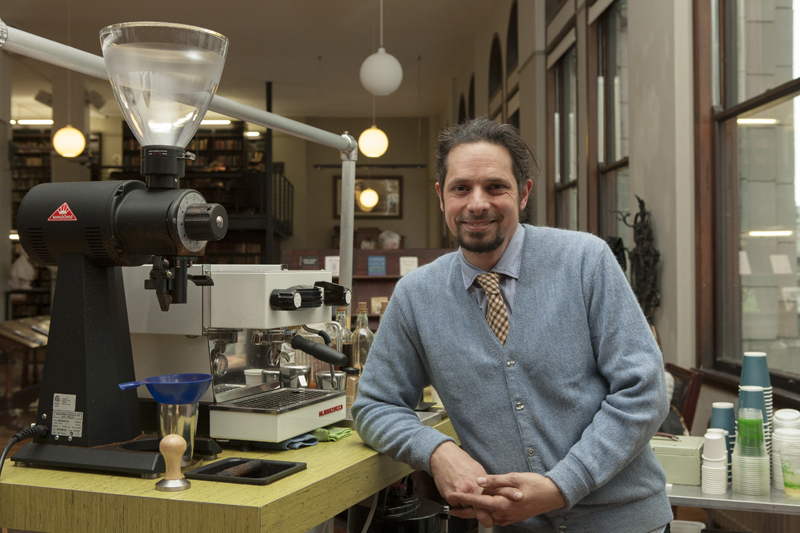 La Terza Coffee founder Chuck Pfahler graces the library’s 11th floor with a fancy new brew station. 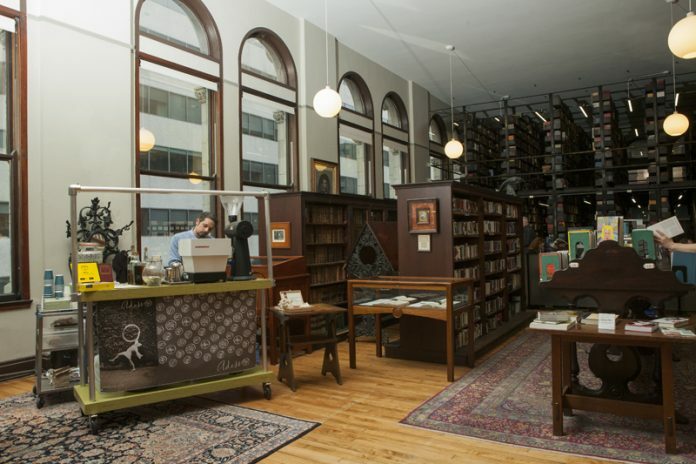 Mercantile Library regulars, brace yourselves: Your caffeine fix just got a whole lot closer. Chuck Pfahler, self-described coffee nerd and founder of La Terza Coffee, has created a bespoke coffee cart complete with an incredibly quiet German grinder (no librarian shushing necessary) and a state-of-the-art Italian espresso machine to produce espresso, cappuccino, cortado, and macchiato. The cart, known as Adesso (“now” in Italian), will also serve a variety of hot teas and a Mercantile Library specialty blend of drip coffee on the 11th floor. Yet another reason to while away an afternoon in the stacks.